My five-day trip to Poland with Poland Travel was quite a whirlwind to say the least. After spending two days in Warsaw, we spent three days in and around Krakow – one day seeing the city sights, one day touring Auschwitz-Birkenau and one day rafting in Pieniny National Park. Despite my brief time in Krakow, the city really piqued my interest. 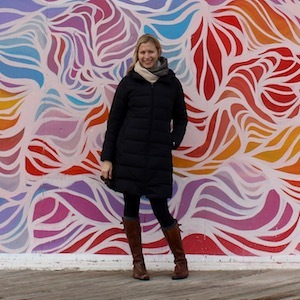 Since I hope to return and give it a closer look, I enlisted fellow travel bloggers to help me create a guide to the best things to do in Krakow. St. Mary’s Basilica in Rynek Glowny (Main Square) is the most iconic treasure of the city and an amazing gem. This Gothic church has been used as a model for many of the other Catholic churches in Poland. Inside the church, you will find a combination of gilt and ornate features like the stunning altar made of carved wood sculptures and intricately painted details like golden stars on the majestic blue ceiling. It’s worth taking a tour to understand the important features of the building and the royalty buried throughout the many chapels. 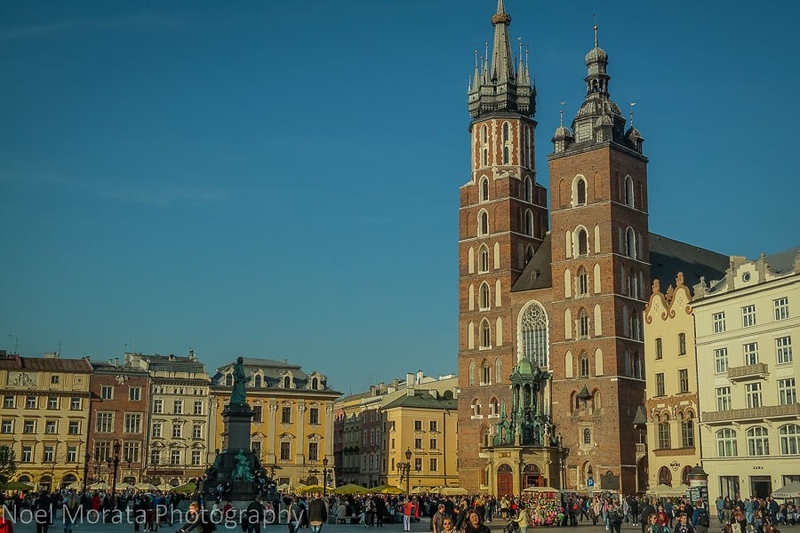 Check out my post here of a day in Krakow including highlights to visiting St. Mary’s Basilica. The Cloth Hall, also known as Sukiennice, is the masterpiece at the centre of Rynek Glowny (Main Square). The Sukiennice dates back to the mid-13th century, and it was an important place for the trading of textiles and fabrics in Krakow. Initially, it was two rows of stone walls in the middle of the square with trading stalls, and later on they built a roof, which made it look like a market hall. During the mid-14th century, King Kazimierz the Great approved the construction to make it into a trading hall. A fire destroyed the building in the middle of the 16th century, and it went through a reconstruction in Renaissance style. During this time the Cloth Hall was one of the most beautiful buildings in the city. However, in the middle of 1870, Poland had been partitioned for nearly a century, and the Cloth Hall was in a quite bad state. Between 1875 and 1879, when the city was a part of the Austro-Hungarian-controlled Galicia, many parts of the facade were torn down, and they added the neo-Gothic colonnades & outside arcades. They also added the wooden stalls and made the upper floor into the first Polish National Museum. When the city of Krakow decided to refurbish Rynek Glowny (Main Square) and pull up the pavement, it discovered remnants of the city’s medieval history. 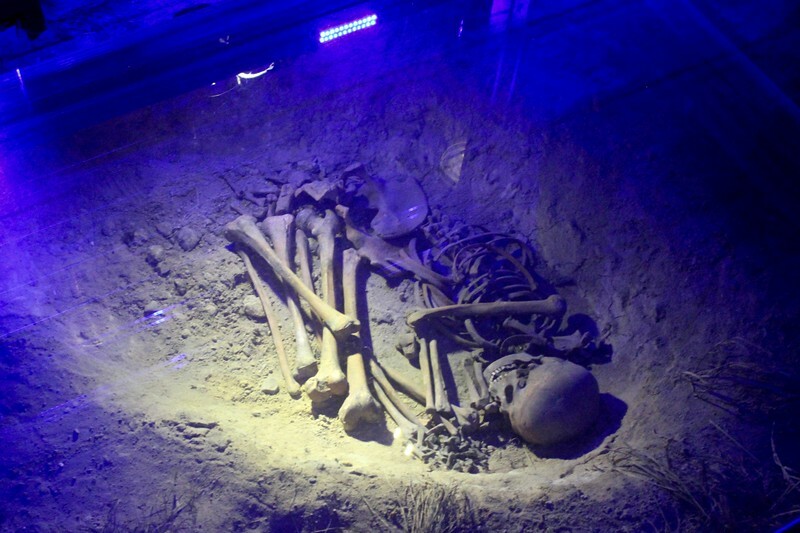 The renovation was delayed for five years while archaeologists moved in to excavate the area. Now, visitors can descend underground to discover Krakow’s past in a unique, interactive archaeological reserve that illuminates the city’s culture and trade centres. The museum uses holograms, touchscreens and reconstructions using actual artifacts. It’s a fascinating look at the life and culture of this period of history. Consider taking a guided tour of the museum. Although the displays have English summaries, more background provides a deeper context for many of the exhibits. Wawel Castle is one of the top attractions in Krakow. Home to Polish royals for hundreds of years and then repurposed over the years by occupying Austrians and then Nazis during WWII, it has a fascinating history and beautiful architecture. Part fortress, part castle, it overlooks the Vistula River and provides beautiful views stretching off into the distance. There are several exhibits and galleries in the castle that visitors can tour, and you can purchase tickets on an a la carte basis for what specifically interests you. The Wawel State Rooms ticket takes you through the most significant royal rooms, including the Envoys Room with the famous carved heads looking down from the ceiling and the Senate Hall, which is decorated like an ornate ballroom. You can also tour Wawel Cathedral, where the royals went to mass, for free. The interior of the church is ornately decorated and quite a sight to behold. Dating back to the 15th century, Krakow’s Old Synagogue is the oldest synagogue in Poland and one of the most important Jewish sites in Europe, so it’s definitely worth a visit. It was nearly destroyed by the Nazis during World War II, but it was restored to its former beauty during the 1950s, so you can still marvel at its ornate Gothic interior today. 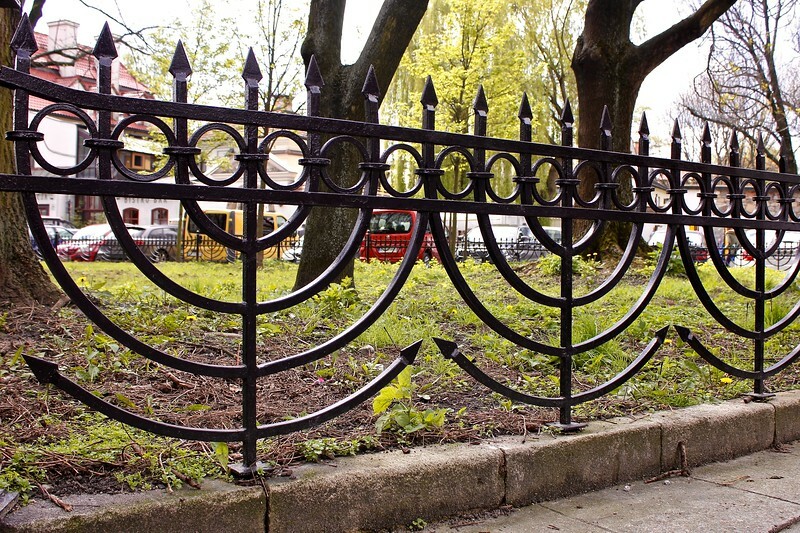 Today the synagogue operates as a museum, where you can learn about Jewish history and traditions through a vast collection of religious and personal items. You also can see touching family memorials to Holocaust victims and wander through the cemetery out back. The Salt Mine was probably my favorite attraction in Poland, and it seems like a lot of people agree with me – it’s a UNESCO World Heritage site that draws one million tourists from all over the world each year. The Mine produced salt all the way from the 13th century (!) through 2007 and today is used for tours as well as events including concerts, conferences and weddings – there’s even a wellness center down there! You start your tour by traveling down the Danilowicz Shaft by elevator – I admit, knowing I was going to be so far underground for a few hours was a little unsettling at first! The mine stretches for 178 miles, but you can only explore about about two miles of it. 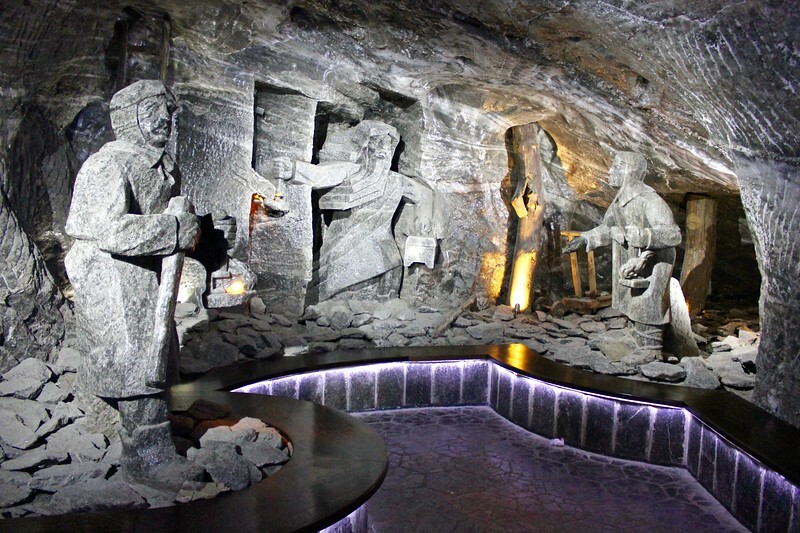 As you make your way through the mine, ducking through tunnels and going up and down stairs, you pass by numerous statues and carvings illustrating scenes from Polish history. You also about 20 ornate chapels and chambers with soaring timber ceilings. It’s hard for me to pick a favorite room, but it was probably the chapel of St. King, which is as impressive as any European cathedral. It’s hard to remember that everything around you is made from salt – even the crystals of the chandeliers! It’s truly one of the most unique and awe-inspiring attractions I’ve ever visited. Oskar Schindler’s Enamel Factory lies across the Vistula River from Krakow’s Old Town and Kazimierz. If the film Schindler’s List means anything to you, or if you want to see an important part of World War II history, you shouldn’t skip this. The facility was originally built in 1937 for the Rekord company before the Nazis acquired it during the war. Oskar Schindler then took over the operations, and he went to extraordinary lengths to protect the Jews who worked there. 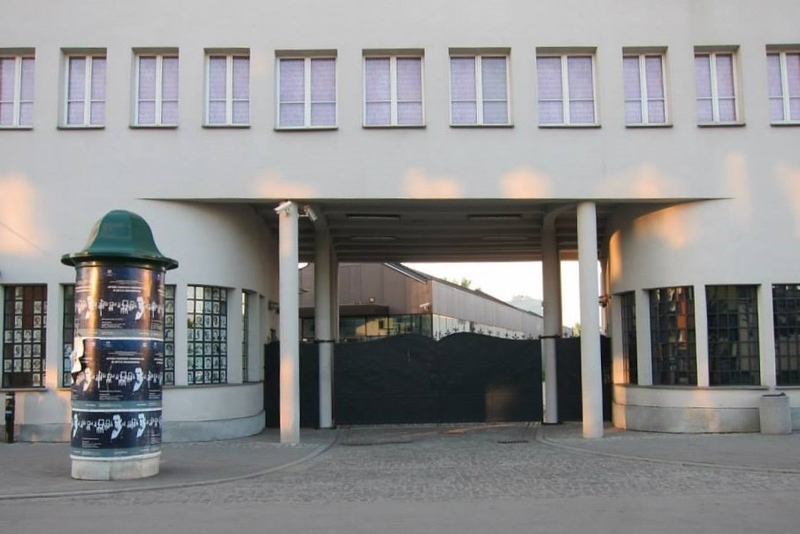 Today, part of the factory is a museum about life in Krakow during the inter-war years and Nazi Germany’s occupation; the other part houses the Museum of Contemporary Art. The furniture that Schindler used, such as his desk, is also on display along with a facsimile of his famous “list.” Several parts of the factory where Schindler’s List was filmed are still accessible, including the staircase where Liam Neeson’s and Bettina Kupfer’s characters cross paths. While some of the exhibits vividly describe the Nazis’ attempts to erase Polish identity, others recall acts of selflessness, resistance and bravery during that grim period. If you want to escape the crowds and get a feel of the local hang-out scene, then Dolne Młyny is a place for you. 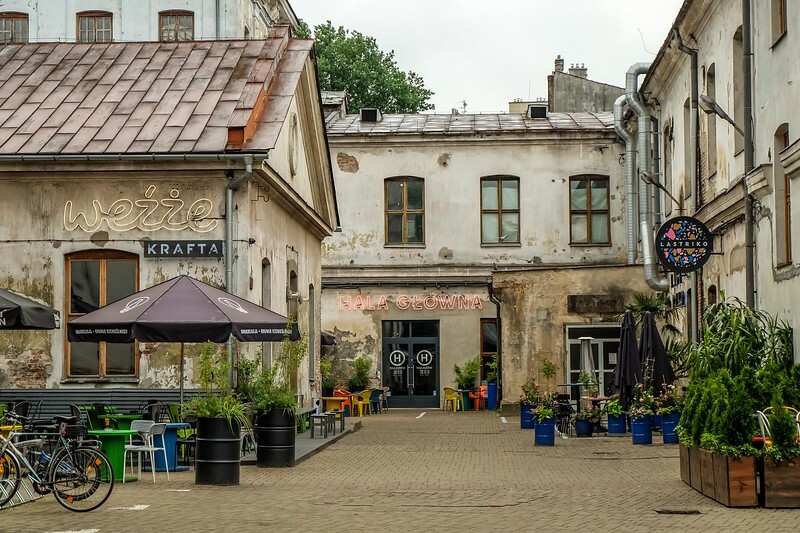 A former tobacco factory on the corner of Dolnych Młynów and Czarnowiejska streets was turned into cultural and creative center with numerous bars, restaurants, art studios, and more. The factory was opened here in 1871 and was operating until the beginning of 21st century. After few years of being abandoned, someone with the clever idea got interested in the place and that’s how Dolne Młyny was born in 2016. It’s located in the center of Kraków, not too far away from the Old Town, yet it’s not on the tourists routes. The young generation of Kraków residents love the area that is now what Kazimierz used to be couple of years ago. Head there any time of the day and you will have lots of fun for sure! Dolne Młyny is a place to be in Kraków! Kosciuszko Mound is located on Blessed Bronisława Hill on the outskirts of Krakow in the Zwierzyniec District. The drive up to the mound is beautiful. As you go through the city, the buildings fade, and you eventually end up in a beautiful wooded area with the mound looming right before you. We parked the car and took a small walk to the entry gate. 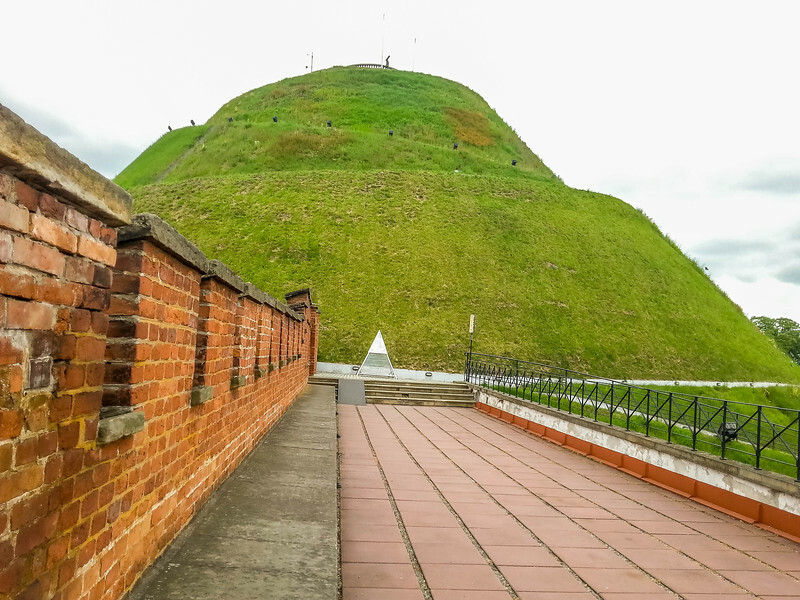 There was a small information plaque that told us that the mound was started in 1820 and built by hand till it reached a height of 35.5 meters high. The mound was mainly used as a lookout throughout its life in times of conflict. After walking to the top of the mound and viewing Krakow and its surrounds, a visit to the permanent exhibition onsite is a must. You see the mound is surrounded by an old fortification and one-of-a-kind citadel. This fortification was designed strictly for defense of Krakow. The fortress and this remaining section were erected in 1850-1856. The mound was once protected by 60 cannons and 732 soldiers. The exhibition located in the old fortifications is ongoing and titled, “The Fortress and the City of Krakow – 1846-1918.” The exhibition focuses on all things Polish and Krakow. It is well worth a visit to further explore Polish culture and traditions. We only had a very quick two days to spend in the incredible city of Krakow, and unfortunately it rained almost the entirety of our visit. Although we did our best to explore the beautiful cobblestone streets and squares of the city, we were also scrambling to find some indoor activities. In doing our research we came across the Pinball Museum. Set a bit off the road and through an alley, it did take a few minutes to find. Admittedly it’s really more of a glorified arcade, but if you love vintage video games, you’ll definitely enjoy this place. They had pretty much every pinball game that has existed throughout the ages along with many other arcade games scattered throughout the rooms of the museum. Prices are based by the day (about 9 Euro per person), but you can come and go as you please. 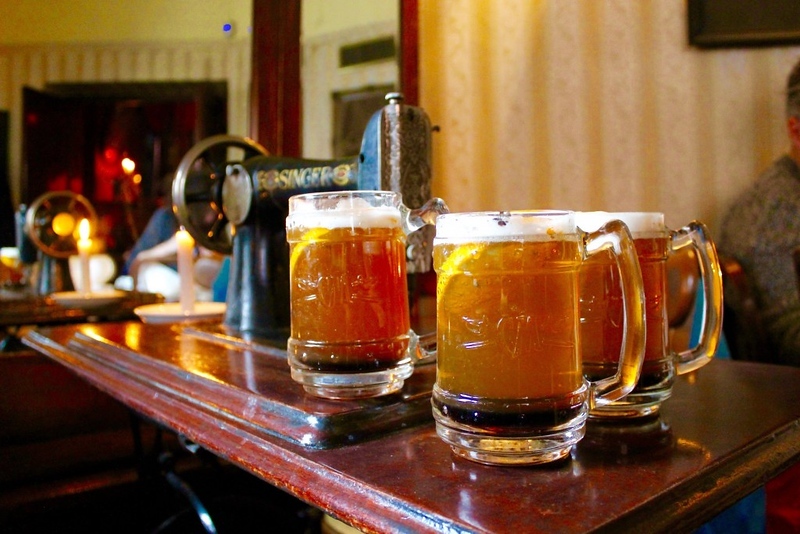 Grab a Polish beer at the bar and spend a few hours! Enjoy the music of Chopin. Although Frederik Chopin spent his adult life in Paris, he was born in Poland, and Krakow has a gallery dedicated to the romantic classical composer. If you’re a fan, take in one of the weekly concerts at the Chopin Gallery, located in an ornate 15th century building. It’s an enjoyable hour-long recital that comes with a glass of sparkling wine (you can snag two if you go a bit early). Shows start at 7:00 p.m. and feature a rotating schedule of talented pianists playing the composer’s most familiar compositions. With its short runtime and reasonable cost (PLN 60), this performance is a perfect pre-dinner activity. A fun thing to do while in Krakow, is an escape room. Groups of between two and six people have 60 minutes to work together to solve clues, crack codes, unlock the room, and escape! 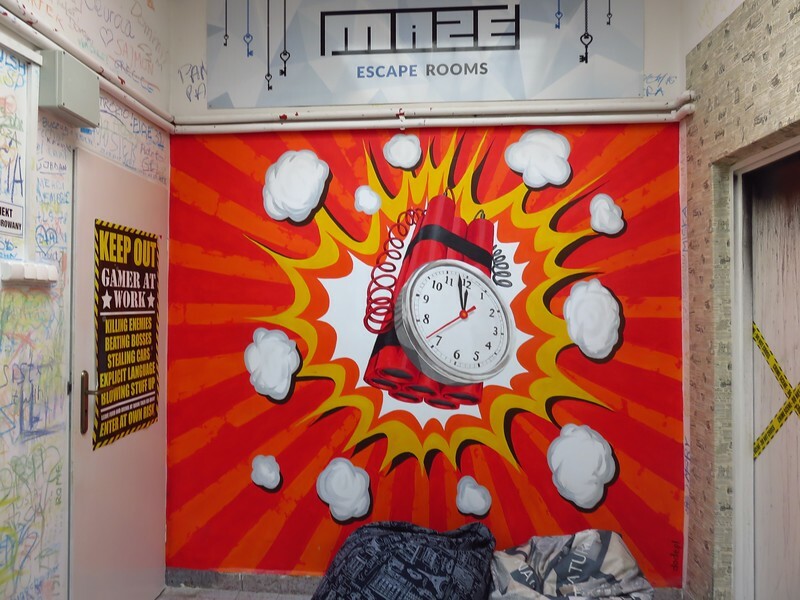 Maze Krakow offers two different themed rooms: “The Ring,” which has a live actor version after a certain time once every other week, and “The Bomb,” which is World War II themed, and you have to defuse a bomb before you can escape! Teams are given a walkie talkie where you can ask for hints or a point in the right direction if you get a little stuck. And the staff are awesome – they’ll help but not just give you the answer. It’s a great way to build teamwork and problem solving skills with your travel buddy! Last summer we had a family trip to Latvia, and we stopped off in Krakow on our way back home via Poland. 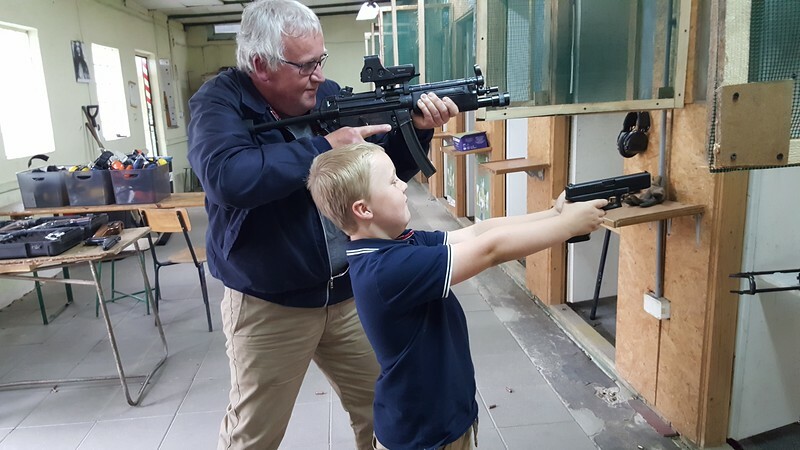 One of the tourist attractions we came across quite by chance was Grotgun, a professional shooting range. Myself and my son Toby decided to have a go. Toby was just seven years old at the time and was only allowed to fire the 12 shot .22 revolver. I have got to say he was a really good shot for a beginner! I, on the other hand, booked a package that included shooting a Kalashnikov AK47, MP5 submachine gun, Glauberyt submachine gun, a Glock pistol, a Browning pistol, and a Sig Sauer 9mm pistol. The instructor, Wojciech, was excellent. He gave us lots of tips and helped to make the experience fun. I am now hooked and will definitely go again. My advice is to book a slot by e-mail as it can get busy. If you’re looking for an adrenaline rush while visiting Krakow, then Lost Soul’s alley is the place to go. This horror experience is one of the best in all of Europe and a must if you like escape room games. It is the first interactive museum in Poland dedicated to our basic instinct of fear. The museum is inspired by horror and thriller movies. It’s very well made, and you won’t be sure of what’s coming next. The Lost Soul’s alley is centrally located at Florianska 6, which is a street in the old town. 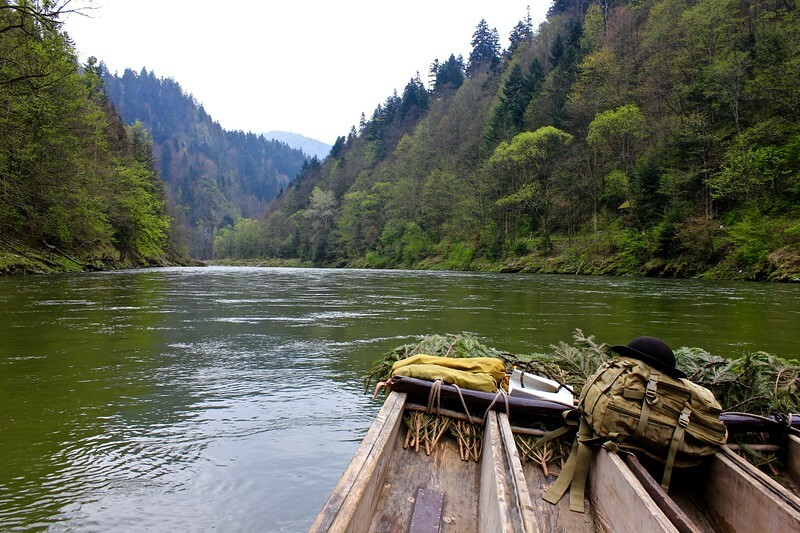 If you’re looking to escape the city and get some fresh air, taking a trip on a traditional raft down the Dunajec River is a relaxing way to spend a day. You start your trip at Sromowce Katy, about two hours from Krakow in Pieniny National Park. The raft is a simple structure made from wooden planks – there are no sides, so don’t lose your balance! – and you sit on rows of wooden benches while a man with a poll paddles you along. For about two hours, you float gently through the gorge – briefly entering Slovakia, which is fun – while taking in beautiful views of the surrounding mountains and forests. Be sure to wear layers and take rain gear in case the weather changes (We had a very chilly ride!). The raft drops you off in the charming resort town of Szczawnica, where you can eat a traditional Polish lunch and do some shopping before heading back to Krakow. One of the best things I did in Krakow was take a vodka tour. Vodka is a big part of Polish culture, so learning about all the different types was interesting. Our guide from Eat Polska took us to four different places where we got to try vodka along with some traditional Polish food. I learned that I don’t like the modern and extremely expensive vodka, but I do love the more traditional flavored vodkas. I also discovered my favorite Polish foods through this tour. One is smalek, which is rendered pork fat served with bread and pickles, and the other is bigos, a dish of sausage, pork, sauerkraut, and sometimes mushrooms. 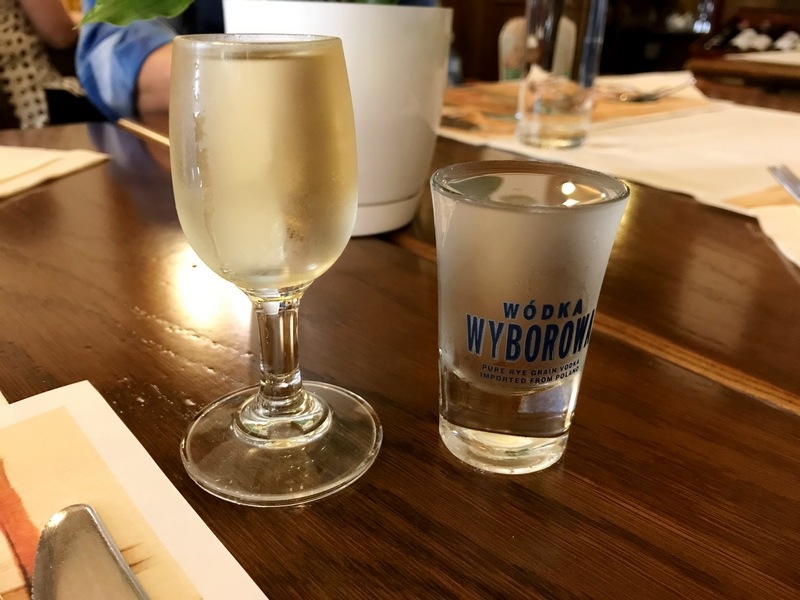 The history of Polish vodka was fascinating, since the country’s borders have changed so many times throughout the centuries, so what counts as Polish vodka isn’t always as simple as you’d think. I first took this tour in Warsaw, but I loved it so much that when my husband and I visited Krakow the next year, we booked it there and took it again. It’s a really fun and interesting tour, and I highly recommend it. We love doing walking tours to discover a city, but in Krakow, we decided to mix it up a little and do an Old Town Segway tour instead, much to my teens’ delight. This was a good alternative because it meant we got to cover more ground than we would on a walking tour. Initially we were given a short lesson on how to ride the Segway along with safety aspects we needed to be aware of. It was surprisingly easy after only a few minutes of practice. The tour took us past many of the popular Krakow landmarks, including Wawel Castle, St Mary’s Basilica and Krakow Barbican. After hearing some quirky tales and historical facts, we ended up in an open plaza area, where we had a chance to play around on the Segways with very few other people around. It was an enjoyable way to see the Old Town. On my recent visit to Krakow, I took a “Communism Tour” offered by Crazy Guides. I expected to see Krakow’s experiment in building an ideal Communist worker’s city, Nowa Huta. I got that and was surprised at how pleasant this Communist-era neighborhood looked and felt – its architecture actually reminded me of Paris. We saw the inside of a typical apartment in Nowa Huta, unchanged for decades, where we ate pickles and drank vodka from the freezer. We saw an impressive church, built by popular demand, and we were treated to a drink in a Communist-era restaurant. 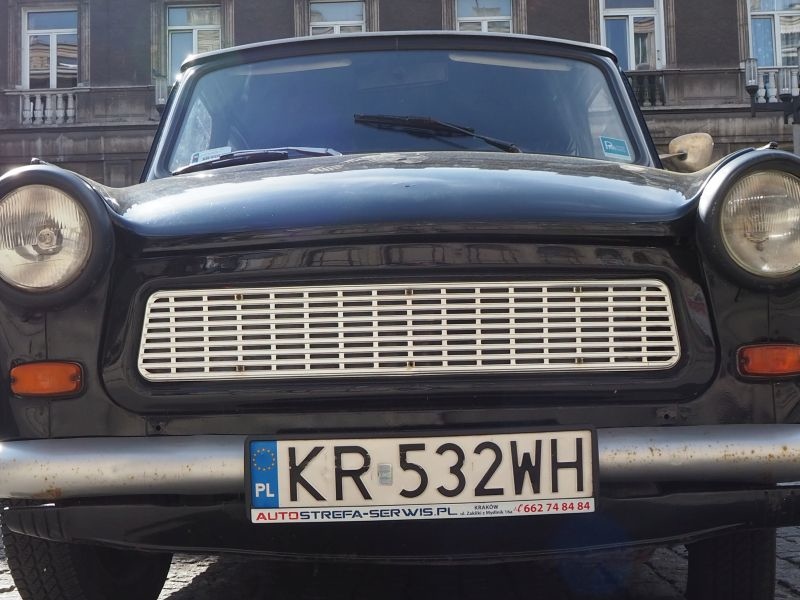 The highlight for me, though, was that the tour took place in a 1966 Trabant, an East German car sold throughout the Eastern Bloc during the Cold War. Roaring down the road in what is essentially a tin can deathtrap – or rather a predominantly plastic deathtrap – was great fun! A Free Walking Tour is always one of our top choices when visiting a city. It is a great way to see the main attractions, walk through the city and learn more about its history. You also get to listen to some funny stories from locals! After the Free Walking Tour, you get a great sense of the city and of the places you want to go back to and spend more time at. In Krakow you have a few different thematic tours to choose from. 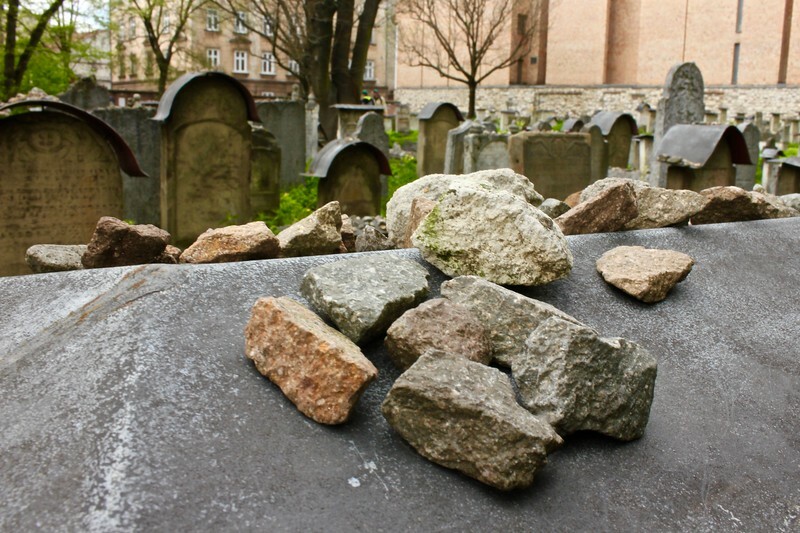 We went with the traditional Old Town tour, but we would also love to do the other ones available: Jewish Krakow, Street Art and World War II. We had a great guide during our tour, who gave us great recommendations on nice restaurants and cafés, as well as some lesser known facts about the city! Wierzynek is one of the oldest restaurants in Poland. Its origins date back to 1364 when an abundant royal wedding reception feast was organised by a wealthy merchant, Mikolaj Wierzynek. Apparently it was so good the guests celebrated for 20 days and nights. The present-day Wierzynek Restaurant honours that legend and keeps it as an inspiration. The interiors of the restaurant, with its draped curtains, beautifully set tables and golden details are suitable for royalty. The food – great, traditional Polish flavours with a modern twist – are presented with some theatre to it. Knowing the legend, we set ourselves for a mini feast too. Ordering an entree and a main each, we followed that by three desserts and a vodka tasting (consisting of four shots of vodka for each of us). It’s not every day that we get to dine in a place like this. 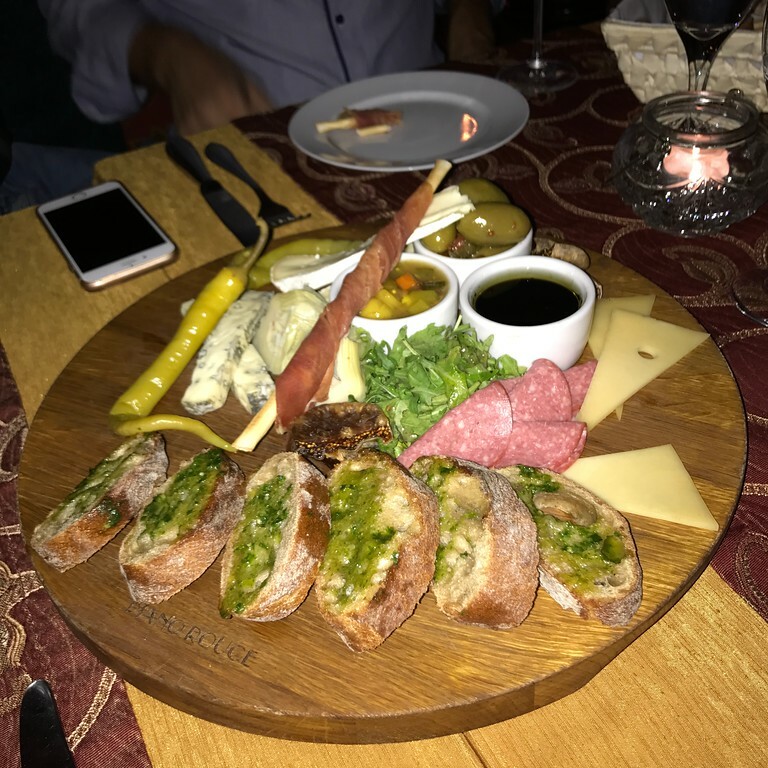 Although it is a fine dining restaurant, it almost feels like a bargain for what you’re getting compared to what you’d pay in Western Europe or Australia. The Singer Cafe in Krakow is one of the coolest cafes/bars I have ever been to. Located in the Kazimierz district, each table at the cafe has an old Singer sewing machine on top, and the whole place is heated with one massive fireplace. It’s perfect for a cold winter day in Europe, but there is also outdoor seating in the summertime. Singer Cafe is a cafe by day and a popular bar by night. They serve up coffee, mulled wine, beer, liquor, and pretty much anything you could want. It is truly one of the most unique cafes in the world and well worth of a stop while you are in Krakow. You’ll instantly feel relieved and chilled out as soon as you walk in! Kazimierz was once an independent town, separated from the city of Krakow, until the late middle ages. Today Kazimierz is known as the Jewish Quarter of Krakow, with lots of bars, interesting cafes, and a good vibe. 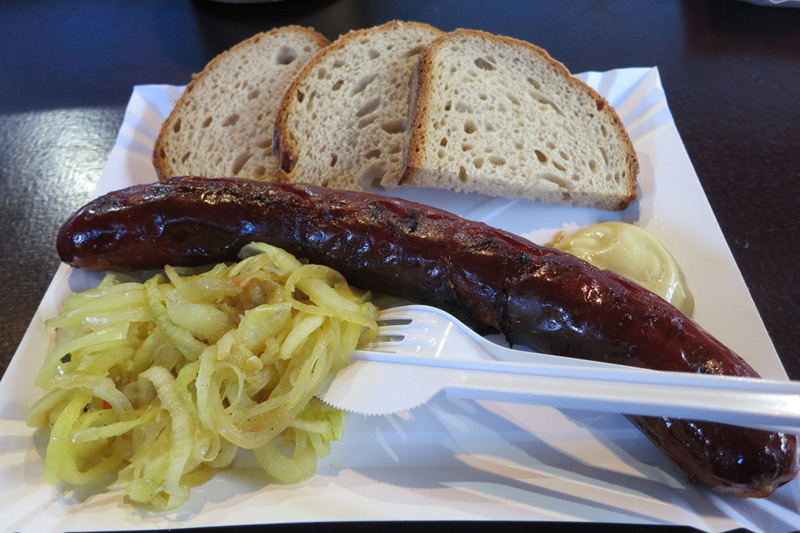 Kazimierz’s beating heart is the local market at Plac Nowy. In the center of this square, there is a historical pavilion (est. 1900), which once housed a ritual slaughterhouse for Kosher meat. The outdoor market surrounding the building is still popularly referred to as the “Jewish market,” but you also can find stalls selling non-Jewish stuff of all kinds. I found the local market of Plac Nowy a very interesting place to taste some good local staples for a few coins: fast Polish food that you can take away or eat on site while sitting on the benches. Don’t miss the chance to dine on traditional zapiekanki (pizza breads packed with toppings) – they are considered by many people as the finest in all of Poland! 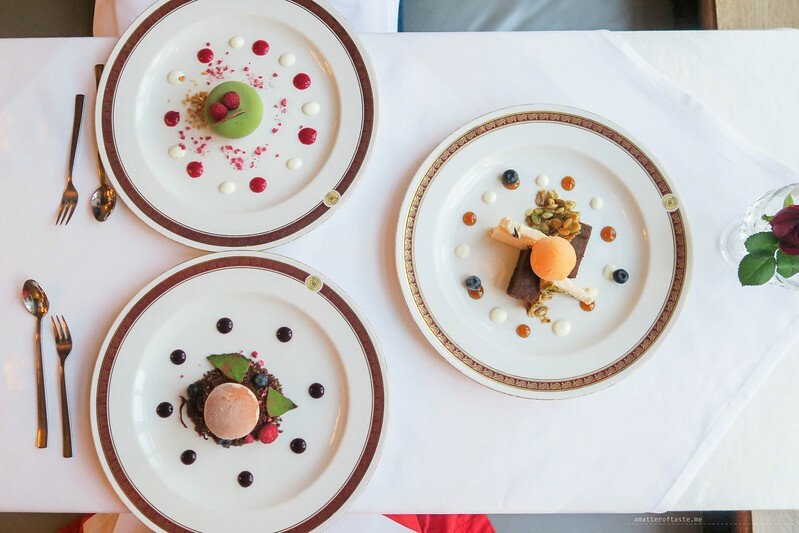 Szara Gęś is one of my favorite dining experiences to date – its elegant decor, impeccable service and beautiful plating all makes for a meal you won’t forget. Sitting right on Rynek Glowny (Main Square), Szara Gęś is serving some of the most innovative food in the city – if not in all of Europe – putting a fun twist on traditional Polish ingredients. 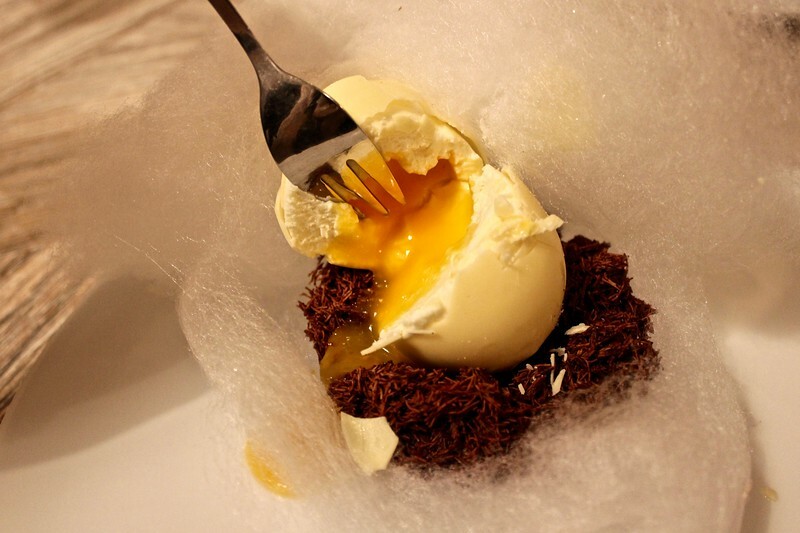 We were all blown away by the “egg nest” dessert – the “egg” is made from white chocolate and mango, and it sits on a bed of shaved chocolate. It even cracks like a real egg! Plac Nowy 1‘s energetic atmosphere draws both tourists and hip locals to the heart of Kazimierz for drinks, dining, dancing, and bowling too. Its open, industrial interior has plenty of space for groups looking to have a good time. 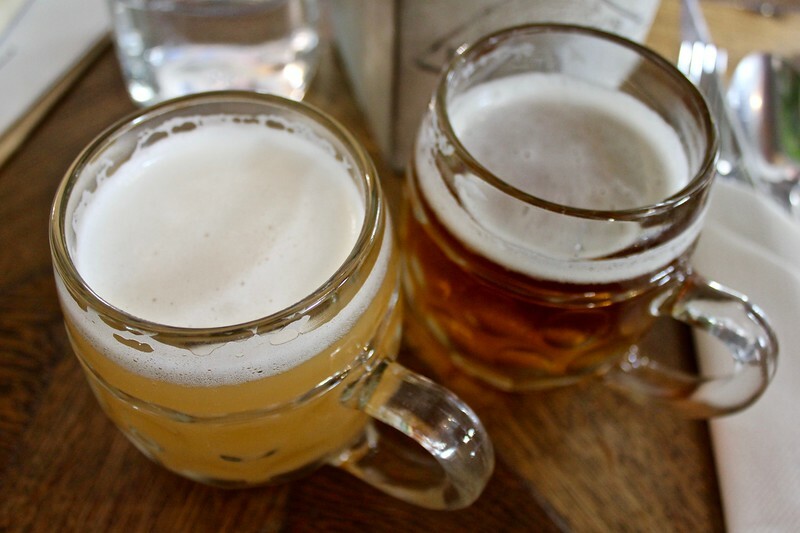 It serves a wide variety of American, Italian and Polish cuisine, and has a great beer selection too – I was pleased to find several microbrews on the menu to accompany my pizza. Pimiento Argentino Grill is an Argentinian restaurant. We were with a large group, so they served all the starters as a buffet. I loved the Polish pastries. As a main course, you have to taste the Argentinian beef. It’s a rather expensive restaurant, but you really have to try it. Trezo is a Mediterranean restaurant. I choose the tiger shrimps as a starter and the rack of lamb as main course. I can recommend both. The Piano Rouge is situated at the market square and is very touristy. Nevertheless you should go there, if only for the interior. The basement looks as if you walked into a fairy tale. Later in the evening, there is live piano music, so you can enjoy it with a nice cocktail. If you eat here, try the goulash. 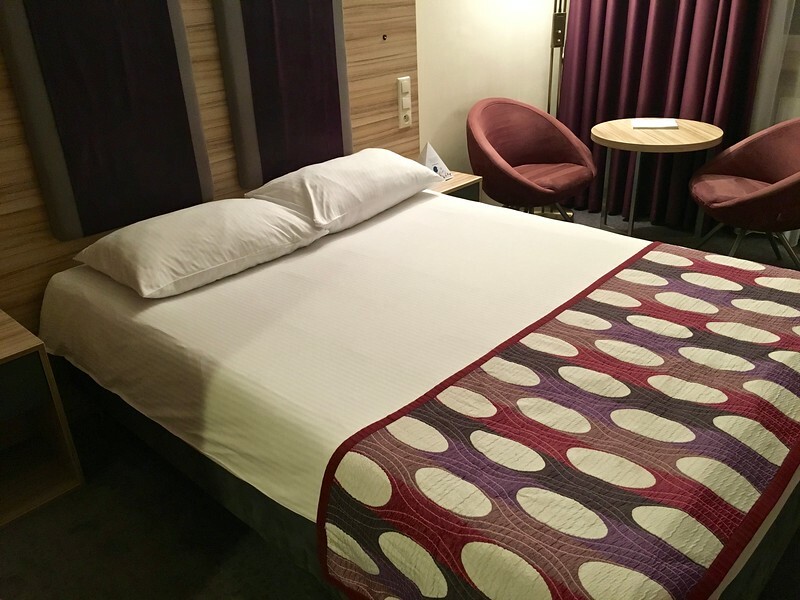 We stayed at Galaxy Hotel Krakow, which is centrally located in Grzegórzki. It’s walking distance or a short cab ride to most of Krakow’s main attractions. It has 205 modern rooms – including suites – and caters to both leisure and business travelers. There was an enormous breakfast spread available every morning at the on-site restaurant, which I greatly enjoyed, and my traveling companions took advantage of the swimming pool and fitness center (I opted for a long walk along the Vistula River instead). Galaxy Hotel can help guests arrange bike rentals, tours, airport transfers, and more. We were guests on LOT Airlines‘ inaugural flight from Newark to Warsaw and then took a train to Krakow. LOT offers 90 routes from Warsaw including direct long-haul flights to New York, Chicago, Newark, Los Angeles Toronto, Beijing, Tokyo, and Seoul. 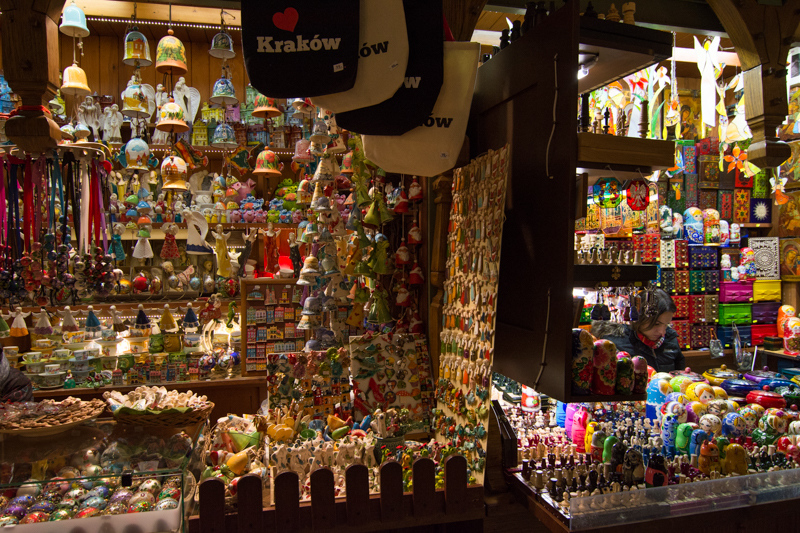 Did we miss any of the best things to do in Krakow? If so, let us know below! Thanks for having me! I love Krakow (and Poland in general!) and there are lots of things here I didn’t do on my first visit, so I’m looking forward to exploring more when I return. Great roundup! Thanks for contributing, Ali! I hope you are able to get back to Krakow soon too.